If you call yourself a chocolate lover, then you know that chocolatiers can do virtually no wrong. But in the realm of chocolates, there is one that stands out above the rest: the truffle. Curious for its combination of a solid, crunchy exterior and a soft, liquid interior, the truffle is one of the most delicious and complex varieties of chocolate. 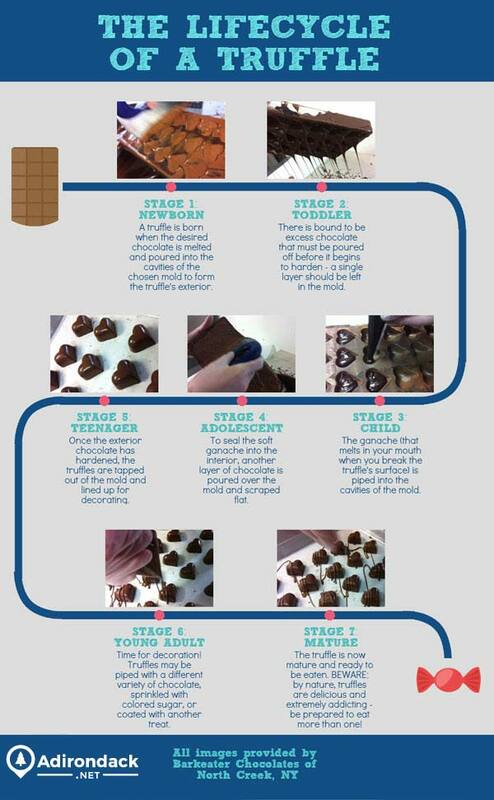 The next time you reach for that delectable treat, remember that like most things (you and me included), the truffle has gone through an extensive lifecycle in order to reach the mature stage that you crave!